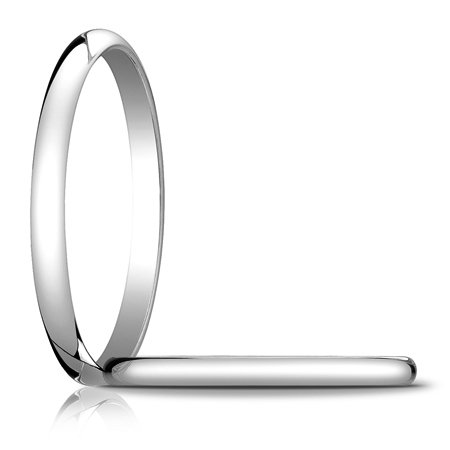 This slender platinum oval wedding band is die struck and standard fit. Oval center, polished finish. Width: 2mm, thickness: 1.3mm. Solid platinum 950 [95% Platinum, 5% Ruthenium alloy] Made in USA. I ordered a simple platinum band for my wedding ring. Band is lovely.